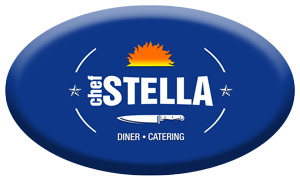 At Chef Stella | Diner and Catering, we offer that home cooked meal you’ve been craving – come in and enjoy our delicious fresh made soups, stews & sauces! Our sandwiches are made from our in-house, slow roasted turkey and fresh Alberta beef and all of our sausages and burgers are ground fresh and handcrafted in-house by our Chefs. Be sure to try our home made ice creams, pastries, Italian treats and much more! Let us know if you have any dietary restrictions or concerns & we will do our best to accommodate them. We know you are busy! If you’re looking for a sit down lunch that will still have you back to work on time, we are your place.